Abraham Louis Breguet is the father of modern watchmaking...almost all the timekeeping innovations have been either invented, worked on, or perfected by this great man himself. Today, the Breguet company, under the mighty Swatch Group continues in this tradition. 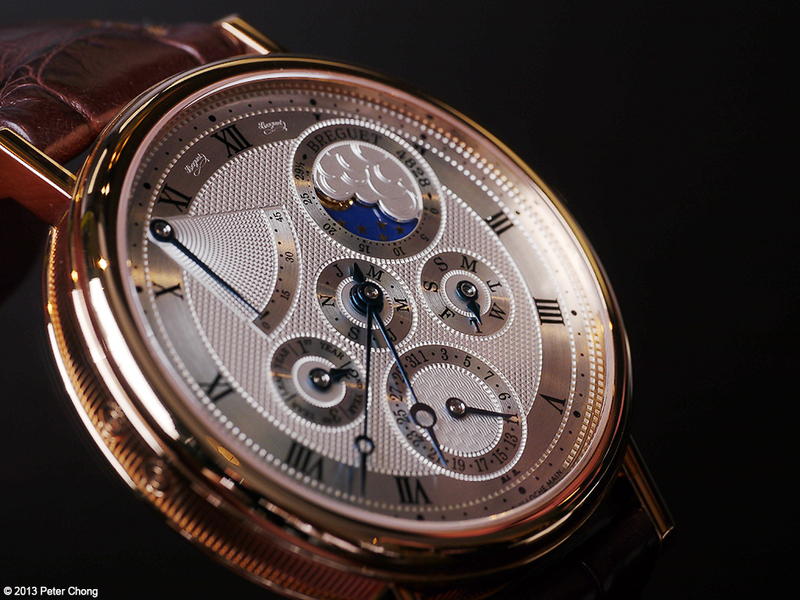 I am very partial to their dial design and execution, which to me is the best example of guilloche design and execution in the business. Today's piece is no different...The 5327BR, Perpetual Calendar. Magnificently done...beautiful in almost every aspect...the dial is so harmoniously designed, it just falls into place, and though it may sound corny, the most apt description which comes to mind is beautiful. It just is. 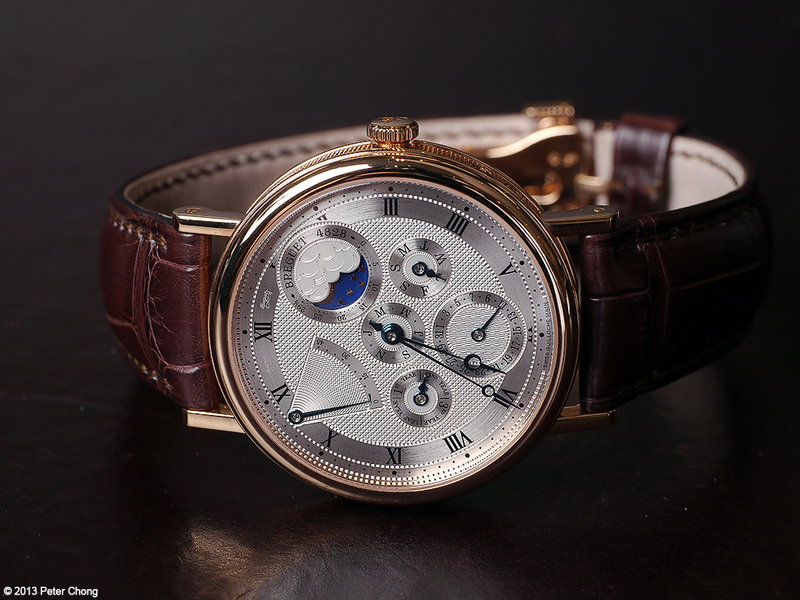 Sober, elegant, magnificently detailed...the dial, hands, numerals, case just speak of the beauty. 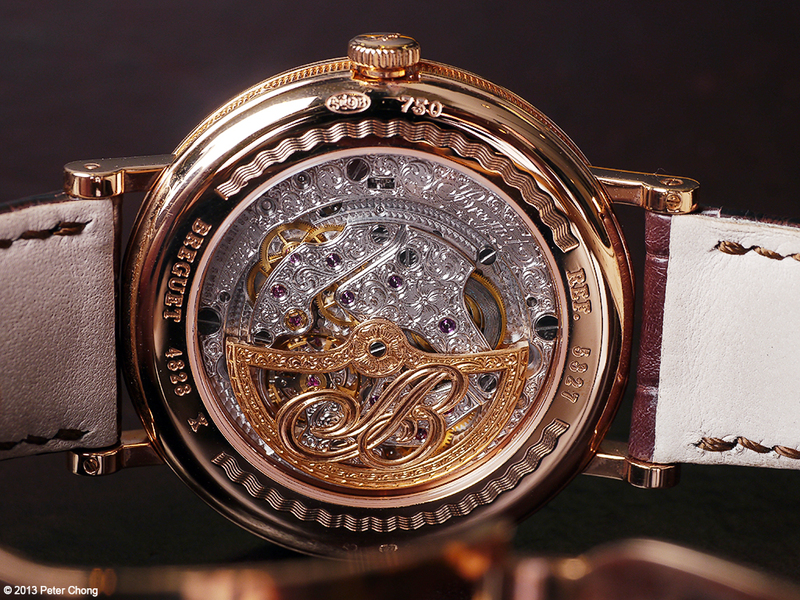 The movement is not to be outdone...a off centered rotor, generously decorated with detailed hand engraving...though to my eyes, a bit over the top outlandish in the amount of engraving...but testament to the amount of skilled work which went into this watch.